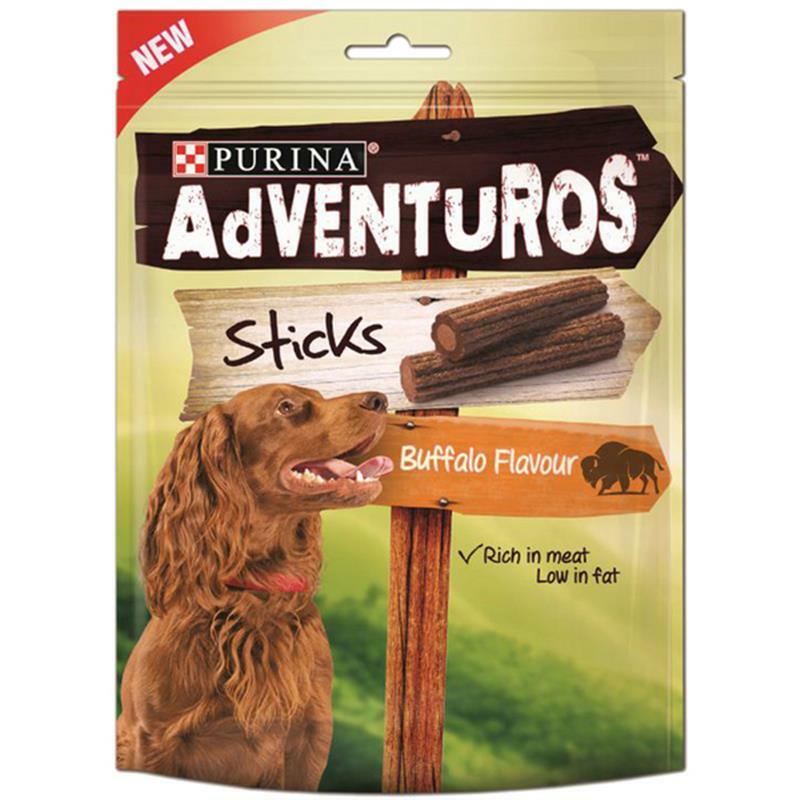 Adventuros Buffalo Flavour Sticks Dog Treats - 120g. Made for dogs with a natural sense of adventure, Purina Adventuros are full of exciting flavours that are just waiting to be unleashed! These delicious sticks with buffalo flavour have a rough outer and a soft filling, so they're double the adventure!